Coronal mass ejections (CMEs) are large-scale eruptive events in the solar corona. Once they are expelled into the interplanetary (IP) medium, they propagate outwards and “evolve” interacting with the solar wind. Fast CMEs associated with IP shocks are a critical subject for space weather investigations. We present an analytic model to study the heliocentric evolution of fast CME/shock events and their association with type II radio-burst emissions. The propagation model assumes an early stage where the CME acts as a piston driving a shock wave; beyond this point the CME decelerates, tending to match the ambient solar wind speed and its shock decays. We use the shock speed evolution to reproduce type II radio-burst emissions. We analyse four fast CME halo events that were associated with kilometric type II radio bursts, and in-situ measurements of IP shock and CME signatures. The results show good agreement with the dynamic spectra of the type II frequency drifts and the in-situ measurements. 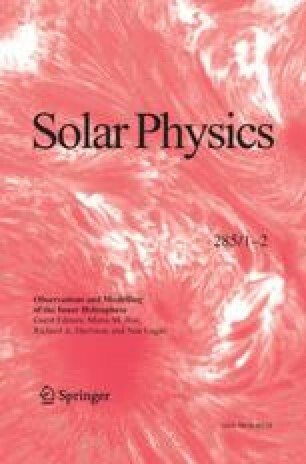 This suggests that, in general, IP shocks associated with fast CMEs evolve as blast waves approaching 1 AU, implying that the CMEs do not drive their shocks any further at this heliocentric range. P. Corona-Romero thanks CONACyT for the doctoral grant. J.A. Gonzalez-Esparza thanks for partial funding by projects DGAPA-PAPIIT (IN105310) and CONACyT (152471). E. Aguilar-Rodriguez thanks DGAPA-PAPIIT project (grant IN109112) and CONACyT project (grant 101625). The authors want to thank the referee, whose comments helped to significantly improve the presentation of this work. To obtain Equations (19), (20) and (21) we assume that the normal to the shock is radial at the shock front.